Since time began, we have been using make up to enhance, conceal and beautify the skin. From the drying alabaster powders used by ancient Egyptians to deadly lead powder used during the Renaissance, make up can often be a catch 22. The more we apply it – the worse our skin can get. The worse our skin gets – the more we apply. Too often than not, it’s actually what’s contained in many make-up formulas that become the source of skin complaints including congestion, breakouts, irritation, dryness and sensitivity. The first and fundamental rule of make-up is to always remove it before going to bed. Caked on powders and long-lasting formulations can create a mask effect which slowly dehydrates and dries the skin. Whilst this may absorb shine throughout the day for a ‘just-applied’ effect, negating to remove it before bed can continue this absorption, zapping the skin of moisture and vitality. Dewy formulas act as the perfect sticky medium to bind pollution and micro-debris to the skin. Add oil secretions and touching the skin throughout the day and the face can become a haven for dirt, grime and bacteria. The second fundamental rule of make-up is to always abide by the recommended use by date. 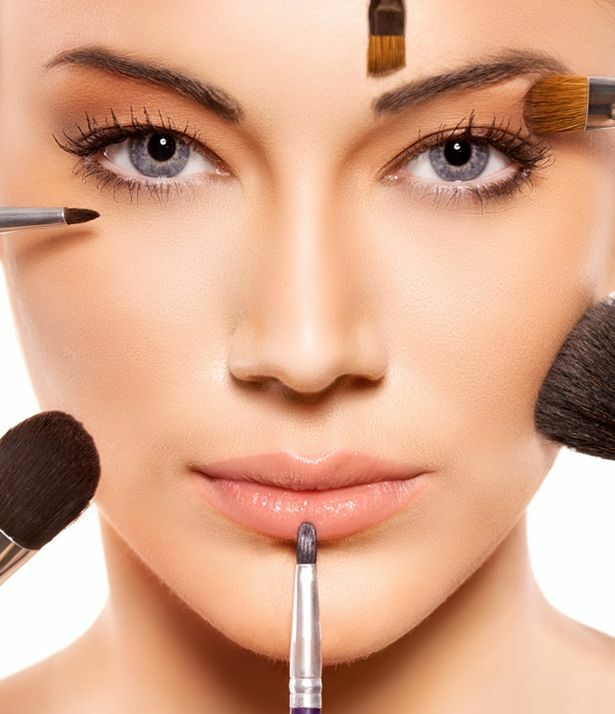 Applying concealer stick direct to breakouts, using the same sponge for powder applications and of course make-up brushes can create a breeding ground for bacteria. This is especially true for mascara wands and liquid eyeliners. Skin irritation, eye infections and sensitivity can often result. Replace sponges and wash brushes with a disinfecting spray at least once a week. Mascara and liquid liners should be replaced every 4 months; foundation, lipstick and concealer every 6 and powders every 12-18. Any product that has separated or smells ‘unique’ should be discarded immediately. One of the biggest surprises with many make-ups is the use of D&C Reds. These red toned dyes and colourants are used to create pigment in foundation, concealer, powder, bronzer, blush, luminiser, eyeshadow and lipstick. Whilst a perfect colour match may result, many of these dyes are proven to be comedogenic guaranteeing the onset of congestion, breakouts and blackheads. Experts have even coined a term for this condition called ‘acne cosmetica’. make up powder facial cosmeticsThe development of mineral make up products have revolutionised continuing skin health. Rather than using D&C Reds, natural earth pigments such as iron oxides provide high payoff and intensity to colour foundation, powders and the full host of face make up products. Unlike other colourants, they cannot and will not congest or clog the skin. Mineral powders are also anhydrous and do not easily harbour bacteria. This means products contain none to very few preservatives and can last years before being replaced. Whilst make up going to be a skin necessity for most, a quick look at the expiry date and ingredients list can be the difference between zitty and bumpy or crystal clear skin. When making your next purchase why not consider mineral-based products developed to provide a flawless finish whilst being good for your skin? Andrew R. Christie is an international aesthetics expert and educator. A guest presenter at the Anti-Aging Medicine World Congress in Monte Carlo and Cosmetex in Australia, Andrew is an advocate of laser regulation and TGA approved machinery.